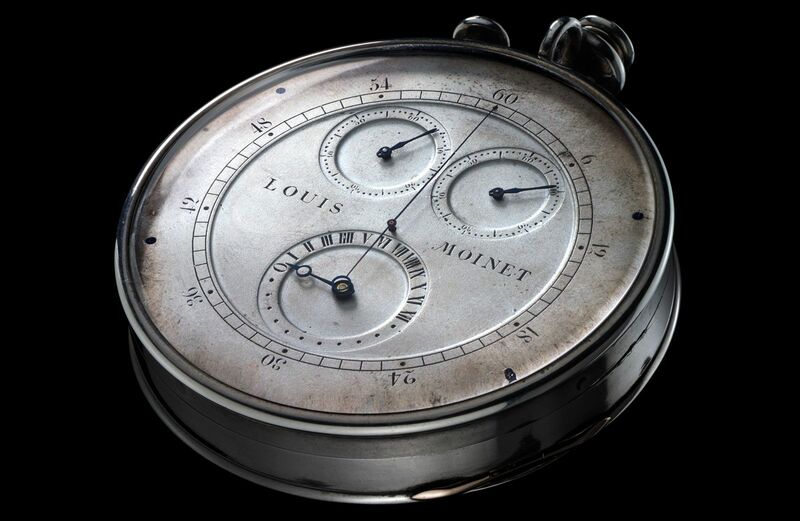 Until now the earliest patent for a chronograph dates back to 1844, and was filed by Adolphe Nicole. 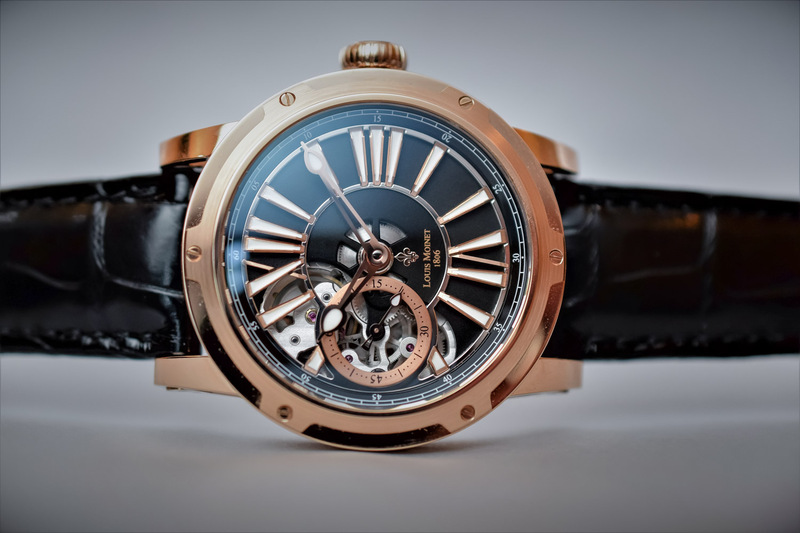 Another watchmaker, named Nicolas Rieussec, name barer of the Montblanc Nicolas Rieussec collection, created his chronograph for the French king in 1821. 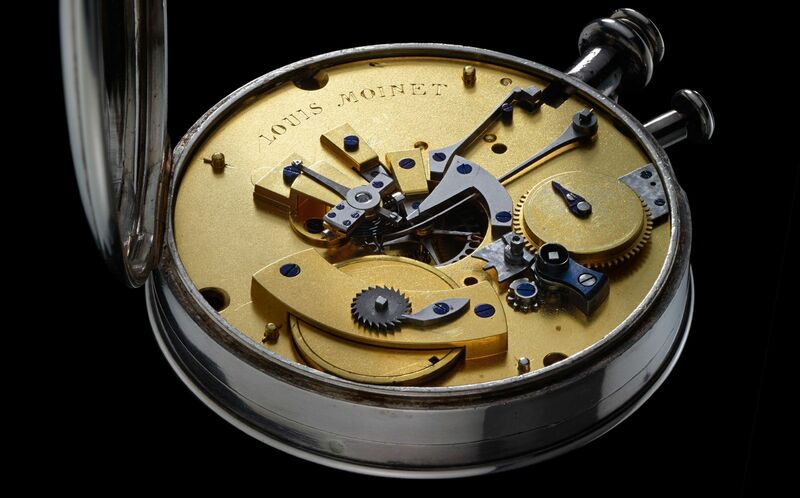 Louis Moinet now claims that their ancestor, Louis Moinet (1768 – 1853), created the first chronograph ever! And more over it had a beat rate of 216,000 vibrations per hour or 30 Hertz, meaning it could measure as precise as 1/60th of a second!! Seriously, think about it, normal (modern) mechanical watches have a beat rate of 18,000 vph up to 36,000 vph. To put things even more in perspective, it wasn’t until 1916, exactly one century later, that Heuer created a chronograph reaching a frequency of 360,000 vibrations per hour. The movement bears four hallmarks testifying to the date when work on it was started (1815) and then completed (1816). 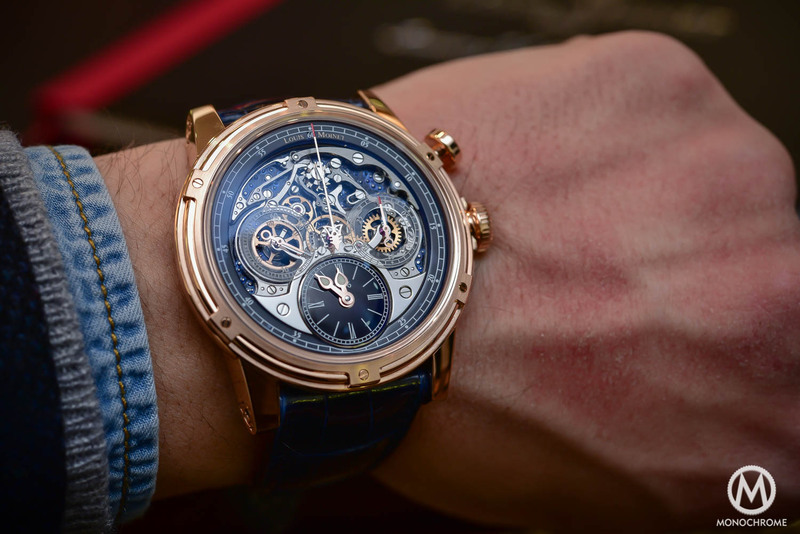 Louis Moinet’s chronograph, which dates back to 1816, features several registers for measuring the time. Top left is a 60-minute indicator, top right is the 60 seconds and at the lower side of the dial is a 24-hour register. At the center of the stage is a thin hand indicating the 1/60th of a second. The chronograph is equipped with two buttons for stopping, starting and resetting. 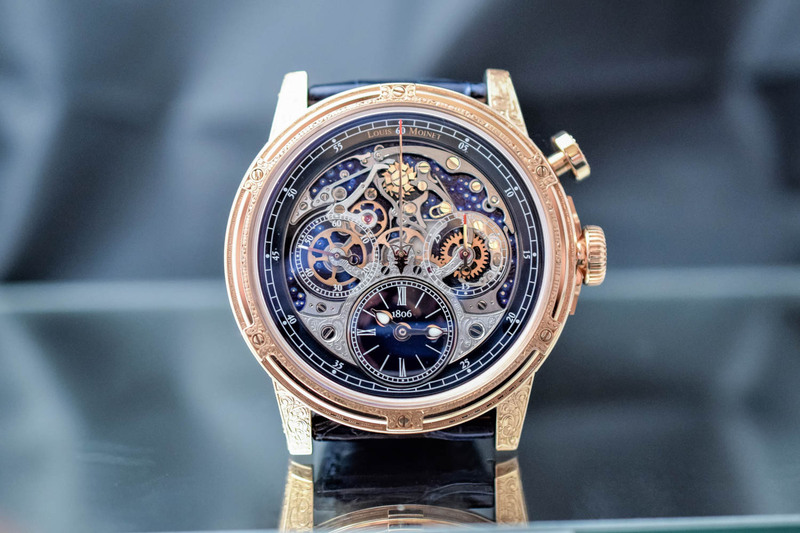 According Louis Moinet it has a power reserve of approximately 30 hours, although this has not been tested, in order to avoid damaging the movement. And all that vibrating at 216,000 vibrations per hour! 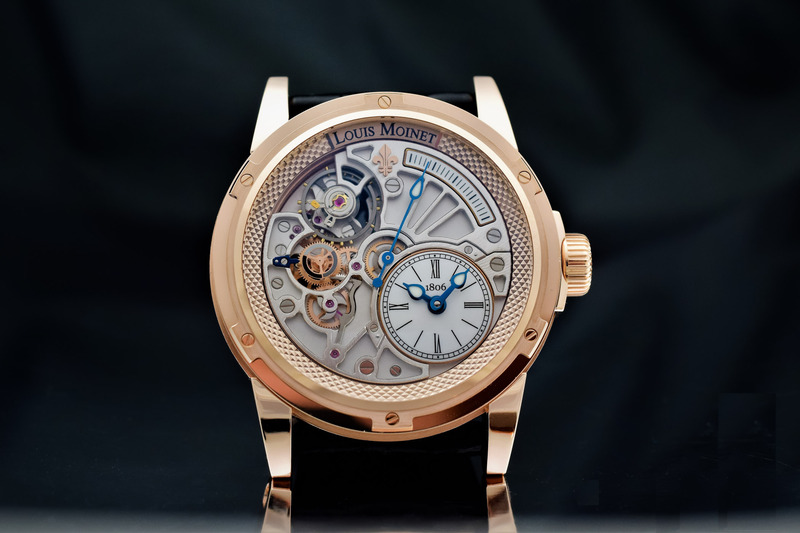 For more information about the world’s first chronograph, please visit the Louis Moinet website. 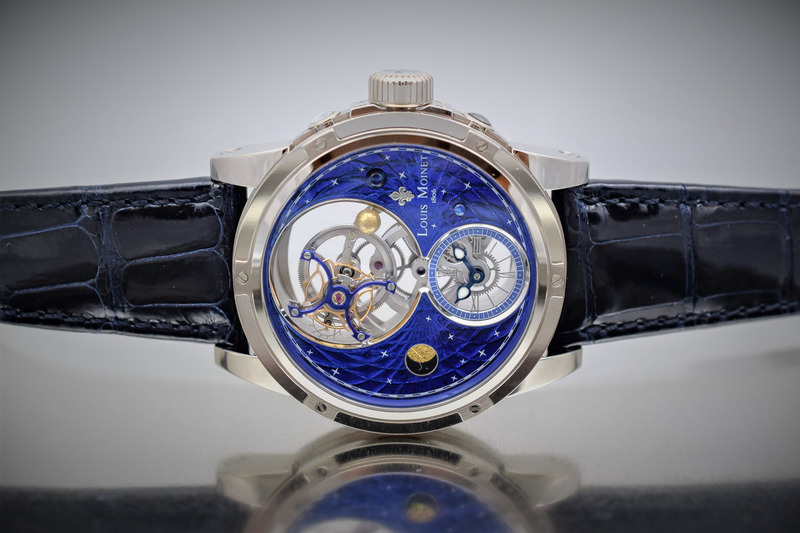 This article is written by Frank Geelen, executive editor for Monochrome Watches.